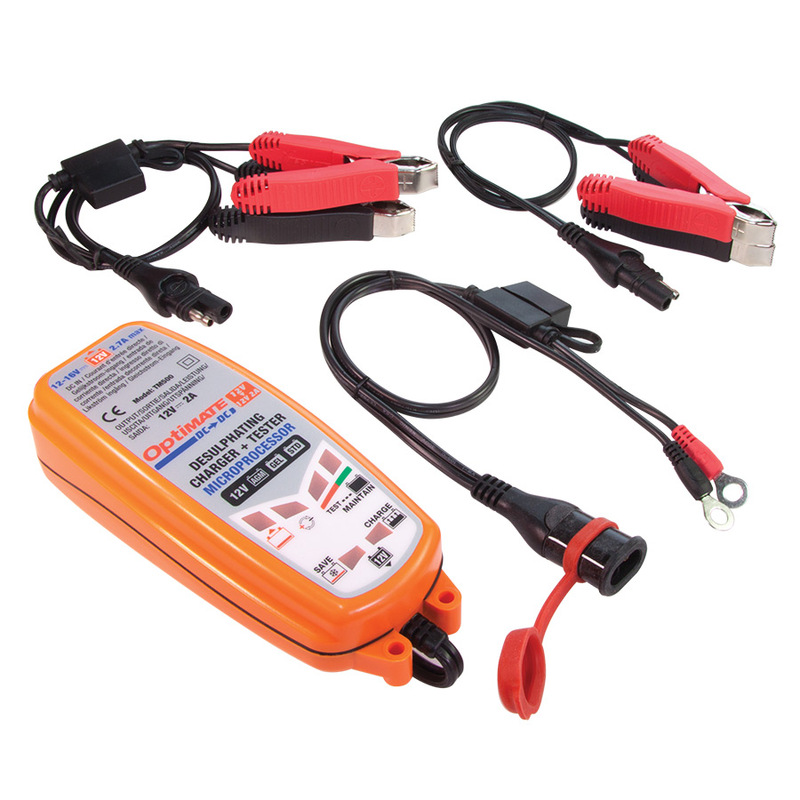 2V Battery to 12V Battery Charger / DC suppl. 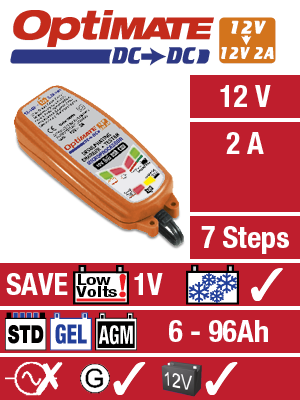 OptiMate DC to DC draws power from your vehicle’s or an external 12V battery to save, charge and maintain another 12V battery. 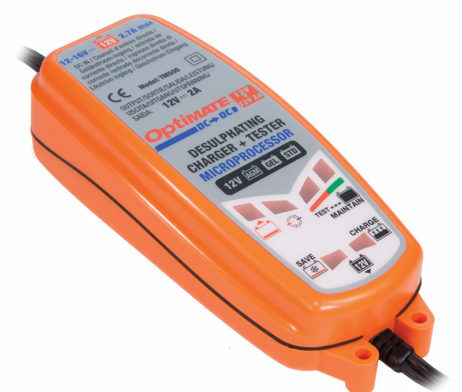 SKU: TM-500 Category: Battery Chargers Brands: Optimate. 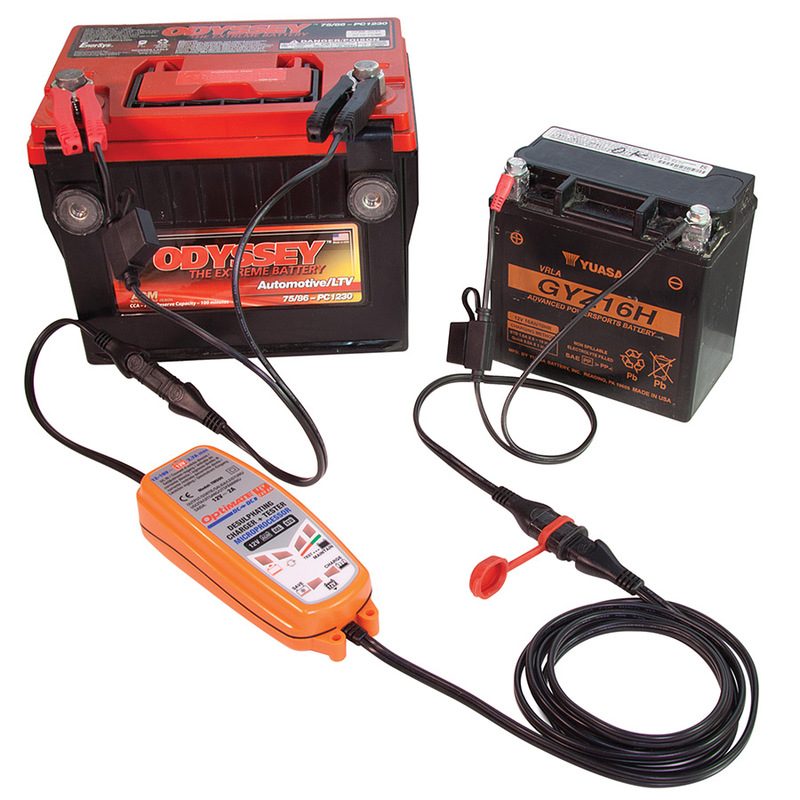 CHARGE YOUR 12V BATTERY FROM ANOTHER 12V BATTERY! NO AC POWER REQUIRED. 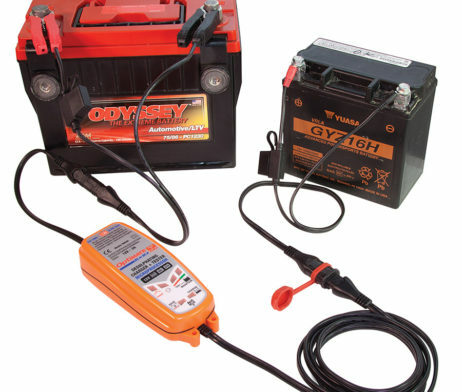 OptiMate DC to DC draws power from your vehicle’s or an external 12V battery to save, charge and maintain another 12V battery. 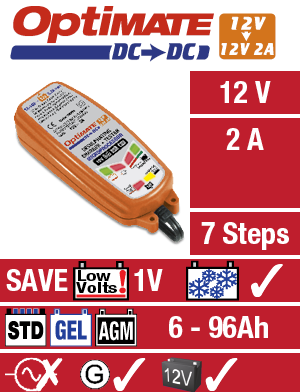 OptiMate DC to DC’s highly efficient long term maintenance mode protects the source battery, drawing only when the battery under charge needs it. 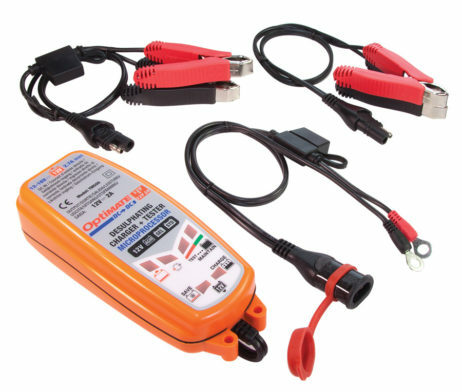 The OptiMate maintenance mode keeps the battery at full charge, never overcharging, prolonging the life and improving performance of the battery. 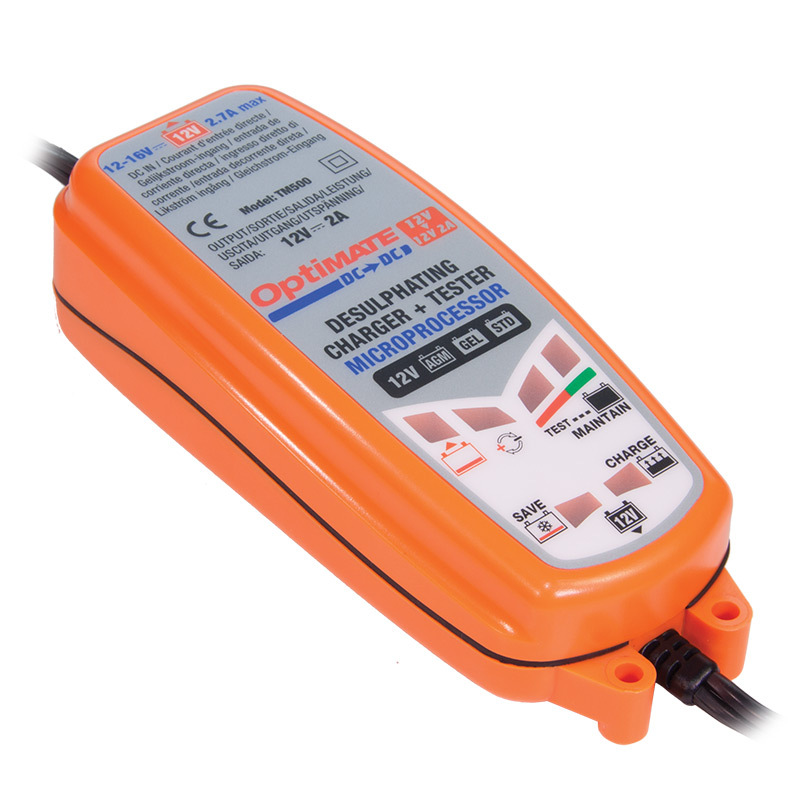 OptiMate DC to DC can save a deep discharged, sulfated battery from as low as 1 Volt. 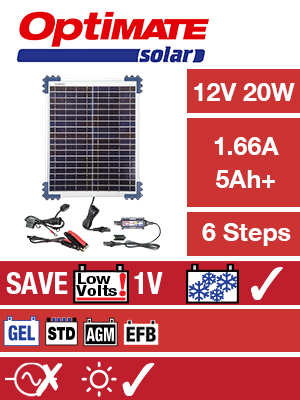 USE: Indoor / Outdoor (lowest temperature: -4°F / -20°C). 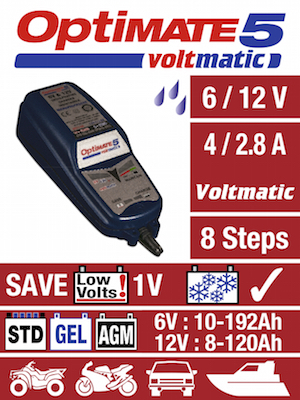 IDEAL FOR: STD, AGM & GEL 12V batteries from 3 – 96Ah. 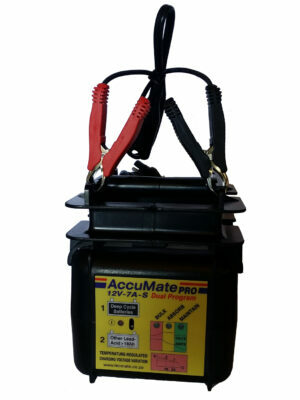 STYLE: Weatherproof case with wall mounts, with 6ft / 180cm AC supply lead and 6ft / 180cm charge lead ending in SAE connector. 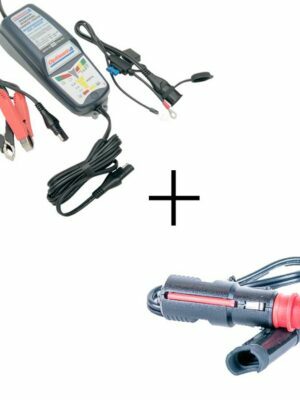 Weatherproof battery lead, standard battery clip set & fused battery clip set included.